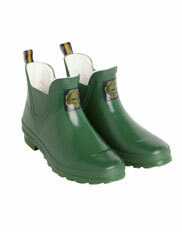 It may be a bit soggy underfoot but that’s no excuse not to step out in style. 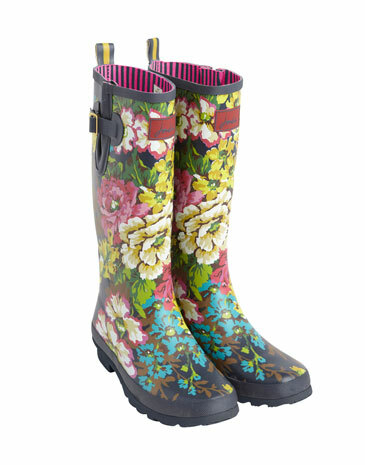 The VQ’s Joules store has the jazziest wellies imaginable to add a little chic colour to your wardrobe on the wettest of days. From ankle to knee length, floral to stripes, traditional to contemporary, spots to shiny, there’s sure to be a style that’s right up your street! 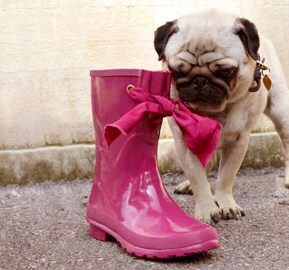 Fabulous festival footwear or dapper dog walking wellibobs, whatever the occasion, there’s no need to worry about that sinking feeling! Feeling sporty? 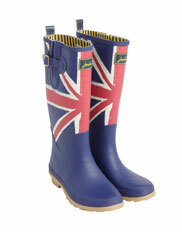 Why not go for gold in the run up to the Olympic Games with Joules’ union jack wellies and pull on a patriotic pair. With 28 designs and colours to choose from and now that the Joules summer sale has started, it’s the perfect time to shop, with prices starting at as little as £24.95 a pair.